Over the past months, Publisher Spotlight has been shining the, well, spotlight on the Western publishers of the niche titles that everyone at oprainfall loves. Sadly, there are only so many niche game publishers out there, so now, Publisher Spotlight will be covering anime distributors. Readers may note that Publisher Spotlight’s regular author, Co-Head Editor Charlotte Buckingham, is not penning this entry. Rest assured that she’ll be back soon enough. But for the moment, you’re stuck with me. With that out of the way, let’s get on with our first ever Anime Publisher Spotlight! To kick things off, we’ll be covering one of the most well-known anime distributors: FUNimation. FUNimation was founded as FUNimation Productions in 1994 by Gen Fukunaga, a Japanese-American businessman, and his wife, Cindy Fukunaga. It is currently based in Flower Mound, Texas. 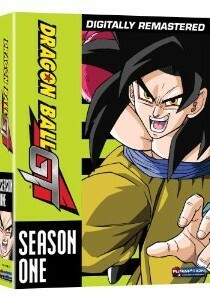 FUNimation’s first acquisition was the now hugely successful Dragon Ball franchise. 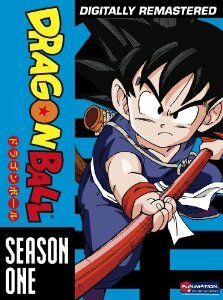 They commissioned Ocean Productions, based in Vancouver, British Columbia, to create a dub of part of the original Dragon Ball anime series, as well as the subsequent Dragon Ball Z. This production has since become known as the “Ocean dub.” FUNimation would later go on to produce a second dub at their Texas studio. Since Dragon Ball, FUNimation has been involved in the licensing and localization of dozens, if not hundreds of anime series (their website claims over “300 active titles.”). Some of the more famous series FUNimation has licensed include; One Piece, the anime series and films based upon Eiichiro Oda’s long-running manga series about pirates, and the two anime series and two films based on Hiromu Arakawa’s Fullmetal Alchemist manga. More recently, FUNimation began releasing the reboot of Hideaki Anno and Gainax’s Neon Genesis Evangelion anime series: the films known collectively as Rebuild of Evangelion. Outside of their own translations and dubs, FUNimation also licenses and distributes titles acquired from defunct distributors, ADV Films and Geneon USA. They also license live-action TV shows and movies under their Giant Ape Media label. These include productions, both of East-Asian origin, as well as niche, special-interest Western productions. Nowadays, there are quite a few options for FUNimation fans to get their anime fix. 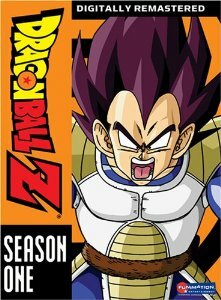 In addition to traditional DVD and Blu-Ray releases, FUNimation also streams series on their official website. These streams are available for free, subtitled and in standard-definition. Paid subscribers can view dubs, as well as high-definition video. FUNimation also does subtitled simulcasts (simultaneous broadcasts) of anime airing in the current Japanese television season. These simulcasts are usually available immediately for non-subscribers; however, there are occasions when subscribers get first dibs, with non-subscribers getting to view the stream later. With nearly 20 years under their belt, FUNimation has easily become one of the largest anime publishers in North America, if not the largest. Over the years, they’ve been bought, sold, and caught up in a couple of legal disputes, but despite all that, FUNimation has always provided the West with anime titles, high in both quantity and quality. They’re certainly a company that English-speaking anime fans will want to (and probably do) keep on their radar. Be sure to look forward to future Publisher Spotlights, where we’ll move on to publishers that are certainly more obscure.